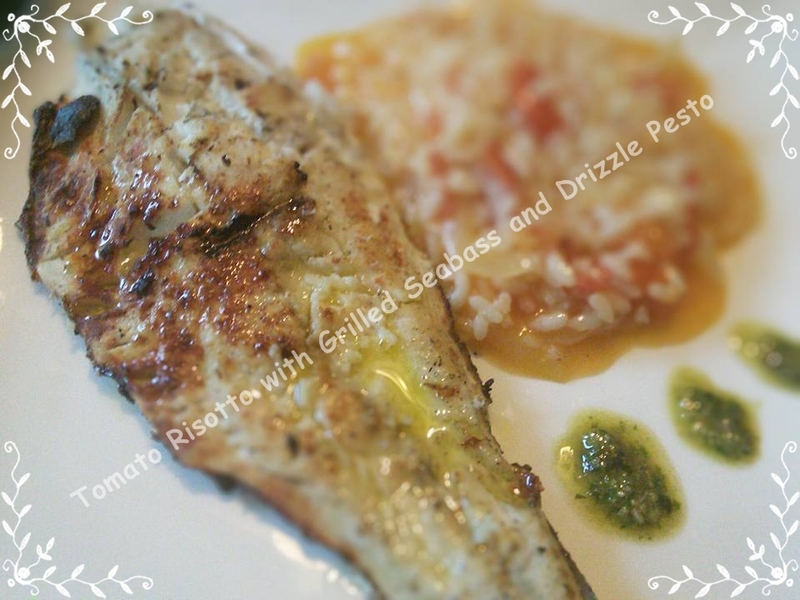 Today i bring to blog Seabass and risotto recipe , Seabass is king of ocean . I hope you like it , i enjoy every bit of it =) Pesto is homemade and i will add recipe later . Heat oil in a pan and brown the onion. Add the leeks and mix well. Let it cook for a few minutes until lightly browned. Season with salt and add the Arborio rice, stirring constantly. Increase the heat, allow to determine, add a bit of vegetable broth and continue stirring. Add half of the tomatoes previously chopped seeded and in shell (if not using organic tomatoes, remove the peel). Keep stirring and adding broth legumese wine when you feel that rice will stick to the pan. Add the paprika and continue this process stirring constantly for about 10 minutes each, always adding vegetable broth gradually, as needed. Join now the rest of the tomatoes, stirring frequently and adding more vegetable broth as needed. Check the salt and cook for about 15 or 20 minutes or until the rice is al dente. Turn off the heat, add the black pepper freshly ground, the lemon juice. Brush the fish with a little oil and season with salt.Barbecue or grill for 3-4 minutes on each side until crisp and lightly golden on the outside, and cooked through.